I just heard that the FDA recalled something called kratom, but I’m not sure what it is. Is it some kind of food, and why has it been recalled? Mitragyna speciosa, which is commonly known as kratom, is a leafy tree that grows naturally in Thailand, Malaysia, Indonesia and Papua New Guinea, according to the U.S. Food and Drug Administration. Its leaves are typically processed into a powder form, which is encapsulated and is sold by some companies as a dietary supplement. Because it can be ingested, kratom is categorized as a food product and falls under the oversight of the FDA. The FDA this week used its recall authority to force a Nevada-based company that sells kratom-based products to pull them off the market after several of its products tested positive for Salmonella. Salmonella is a dangerous pathogen that can cause diarrhea, fever and abdominal pain, which typically develop 12 to 72 hours after infection. The illness typically lasts 4 to 7 days, and most people recover without treatment, FDA says. However, in some cases, hospitalization has been required. Several brands of kratom-based products have been linked to a multistate outbreak of salmonellosis from multiple strains of Salmonella. As of March 14, some 87 people in 35 states were infected with outbreak strains of Salmonella, including four cases reported in Ohio, in relation to this outbreak, according to FDA. As a result, the agency is advising consumers to avoid kratom and kratom-containing products and to discard any in their possession. The products included in the mandatory recall are Raw Form Organics Maeng Da Kratom Emerald Green, Raw Form Organics Maeng Da Kratom Ivory White and Raw Form Organics Maeng Da Kratom Ruby Red, FDA said. 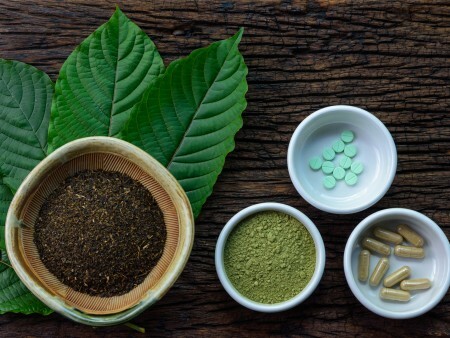 Kratom-based products are typically used as an alternative pain remedy, which its advocates say is safer to use than opioids, and as an addiction withdrawal aid. Kratom is also used recreationally. The agency also has received concerning reports about the safety of kratom, including deaths associated with its use, it said. In fact, there is no FDA-approved use for kratom, the agency said. Editor: This column was reviewed by Abigail Snyder, an assistant professor and food safety field specialist for CFAES.